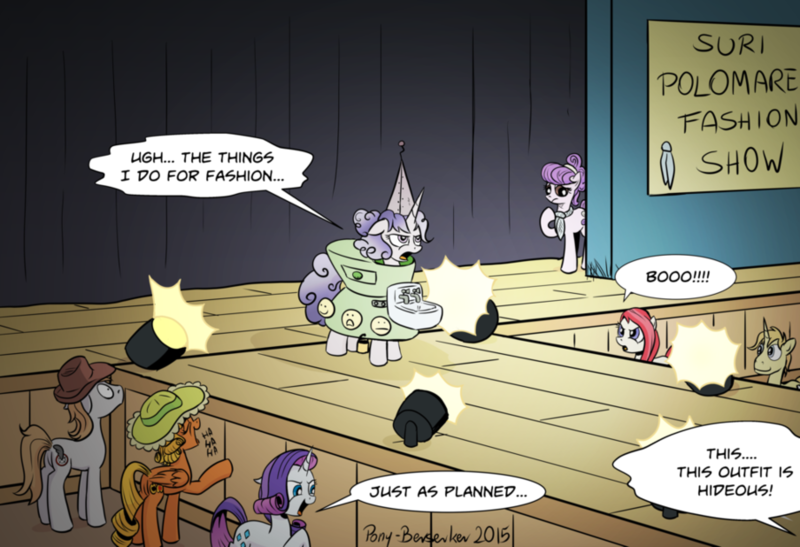 So the story with this is that Rarity decided to get a little revenge at next year's fashion week. She knew Suri would try to steal her designs again, someponies never learn after all, and so Rarity set up a little sabotage. So now Rarity finally got her revenge, and it only cost Sterling's pride. Art done by the awesome ponybezerker for his patreon.